Fixed incorrect VRRP state of Switch while using MD5 authentication mode. Fixed loopback detection problem of Switch. Fixed IPSEC issue of AR while using ah-esp or esp protocol if no authentication mode is on. Fixed policy router+NAT issue of AR. As you know I try to avoid products descriptions here, on this blog. But last time I had possibility to see ATN905 boxes, available in the indoor and outdoor types. You can install them in various environment. 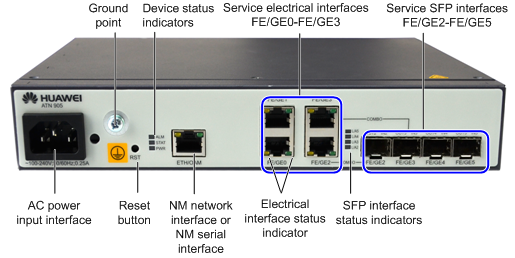 The application scenarios of ATN905 are divided into the small-cell base station bearer scenario and the Ethernet demarcation device (EDD) scenario.